If your home or living space is too small for a Christmas tree, or if you’re just looking to liven up a small area, we have some festive ideas for you. After all, no home is too small to fill up with Christmas cheer. Check out these Christmas decorating ideas for small spaces and get some great tips on how to display ornaments. 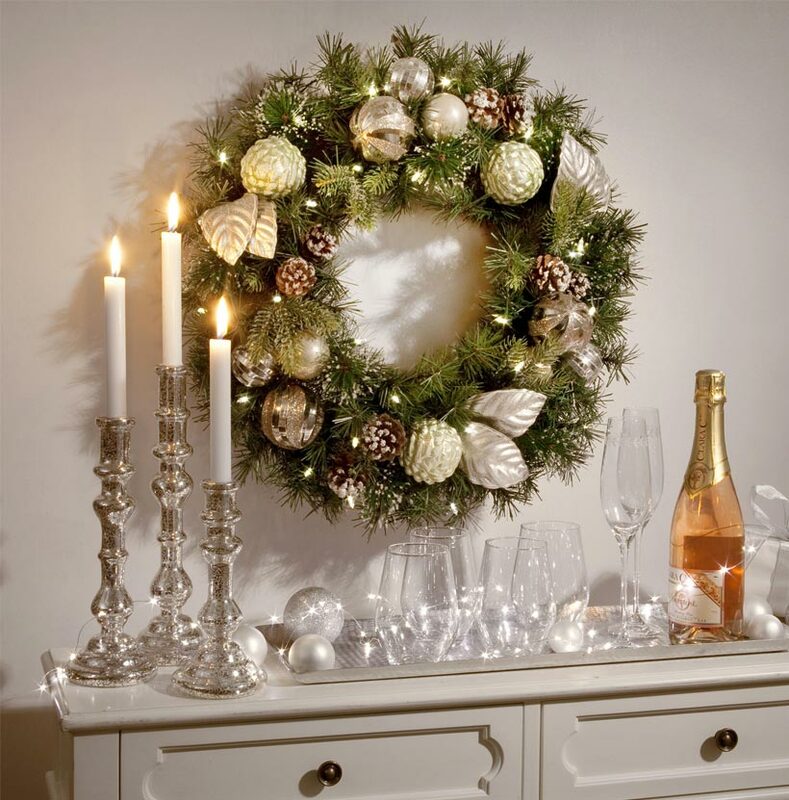 The following Christmas decorating ideas will look fabulous in small spaces. Keep in mind that less is more! ornaments. Or perhaps you prefer jewel tones, red, green, blue, and purple. It’s your Christmas tree, so style it any way you want! Another Christmas decorating idea is to use a hanging Christmas basket. 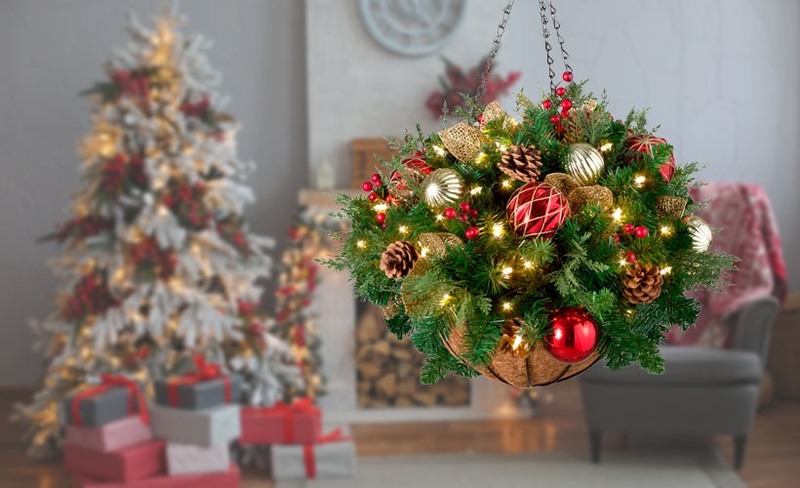 You can fill it with micro Christmas lights, greenery, faux berries and twigs, real pinecones, and your favorite ornaments. 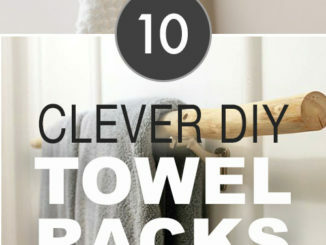 You could also decorate it with either a solid red bow or a red and gold bow. 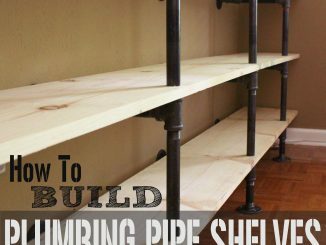 It will add elegance to your small space. garland ties) in different colors and sizes to make the garland even fuller. 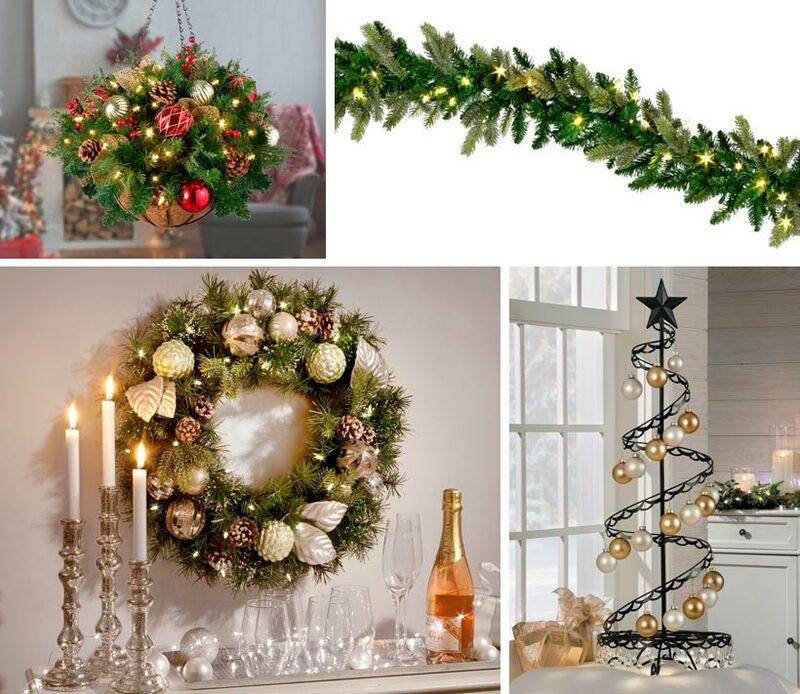 Imagine using our Christmas decorating ideas for small spaces. 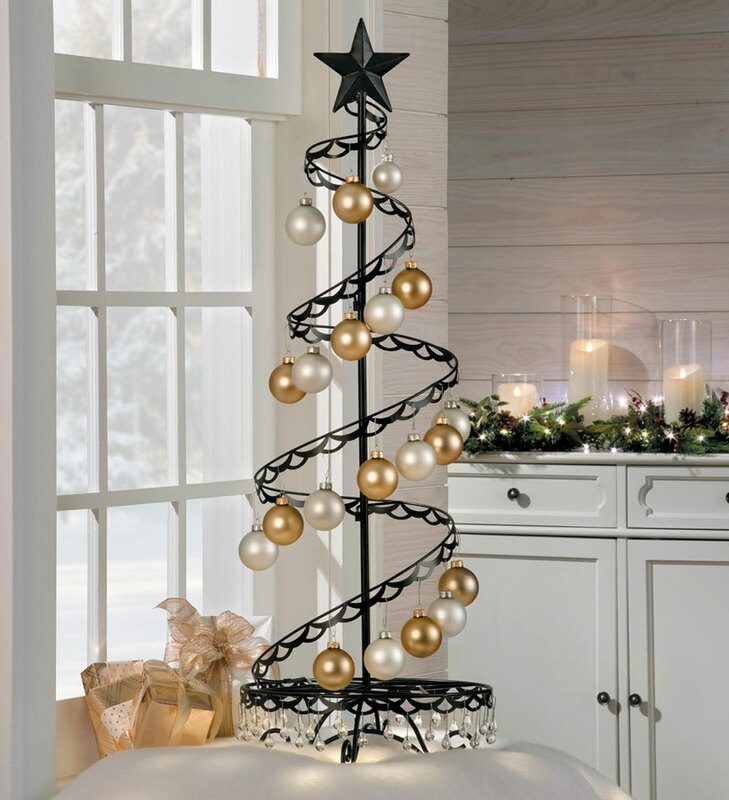 Perhaps you created a modern look with an ornament tree and LED lighted branches. Or maybe you hung garland around your door and window and a contemporary Christmas wreath above a cabinet. Or maybe you kept it super simple by hanging a lighted wall tree and Christmas cards. Whatever the case may be, your small space will be warm and cozy for the holiday season. Do you know someone who can use small space Christmas decorating ideas? Share this post with them via email or your favorite social network: Facebook, Pinterest, or Twitter. Spread the knowledge and holiday cheer!